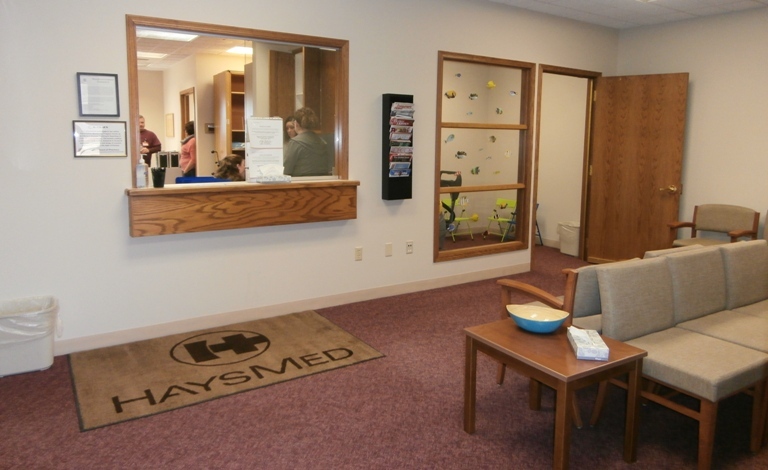 When the HaysMed Convenient Care Clinic opened a year ago, two main goals were easy access and affordable prices. These expectations have been met and there is even more to come, said Terry Siek, vice president of patient care services/chief nursing officer. We are evaluating the best location and hope to move to a location near I70 and Vine soon, Siek explained. It is currently located at 2501 E. 13th. Since opening in January last year, the clinic averages 25 to 30 patients a day. During fall and winter months, however, influenza and upper respiratory illnesses increase the daily average to between 40 and 50. The most common of these illnesses include acute pharyngitis; streptococcal pharyngitis; bronchitis; and acute upper respiratory infection. “These types of cases are considered minor illnesses, which typically don’t require an emergency-room visit,” Siek said. “Minor concerns may be diagnosed through basic testing and treated by a nurse practitioner or physician assistant. In the walk-in clinic, minor illnesses and injuries are the priority on a first-come, first-served basis. While insurance policies vary, the co-pay usually is in the $20 range. To further accommodate patients, HaysMed began offering its Convenient Care wait-time app for mobile devices last year. It refreshes itself every few minutes and allows people to obtain basic information on how long they may have to wait at the clinic. The HaysMed Wait Times app is available at the Apple Store and Google play. Both iPhone and Android versions are available. Clinic hours are 8 a.m. to 7:30 p.m. Monday through Friday; 9 a.m. to 4:30 p.m. Saturday; and noon to 5 p.m. Sunday. The clinic’s providers include: Jennifer Acosta and Lindsey Rut, both physician assistants; Nicole Spray, Cammie Williby, Ron Williams and Margo Straub, all advanced practice registered nurses; Tiffany Dewitt, licensed practical nurse; Bernas Munsch, registered nurse; and Crystal Zeiler and Maribel Alvarez, office staff members.